It’s an important day for Directioners across the planet, with the chaps from British boyband One Direction releasing their fifth and final album, before they take a break and potentially make hay in the solo sphere. The campaign for ‘Made In The A.M.’ kicked off in spectacular fashion, with ‘Drag Me Down’ becoming the boys’ first number one single in Australia, while recent single ‘Perfect’ peaked at No.4. And it’s pretty much set in stone that ‘Made In The A.M.’ will debut at No.1 on next weekend’s ARIA albums chart; a result that would make it an even five from five, following the No.1s for ‘Up All Night’, ‘Take Me Home’, ‘Midnight Memories’ and ‘Four’ in 2011, 2012, 2013 and 2014 respectively. To celebrate the album’s release, the fine folk at Sony Music have shot five copies of the deluxe edition of One Direction’s album across to us to give away to you. The deluxe edition comprises 17 tracks in all, including grat tracks ‘Infinity’, ‘What A Feeling’ and ‘History’. And here’s how you could score yourself – or someone you love – a copy! As always, you’ll be wanting to head to our CONTACT page, what with its unfurnished boxes. Place your full name and email address in the relevant boxes, pop the name of your favourite 1D member in the Subject box and in the Comment box we’d like your postal address, if you please. Do as we ask and we’ll pop you into the draw to win one! Competition closes at 10:00pm AEDT on Friday November 20, 2015. One entry only per household/address/email. Competition open to Australian entries only. Winners drawn at random. Winners’ first names, towns/suburbs and states will be published on the site on Saturday November 21, 2015. 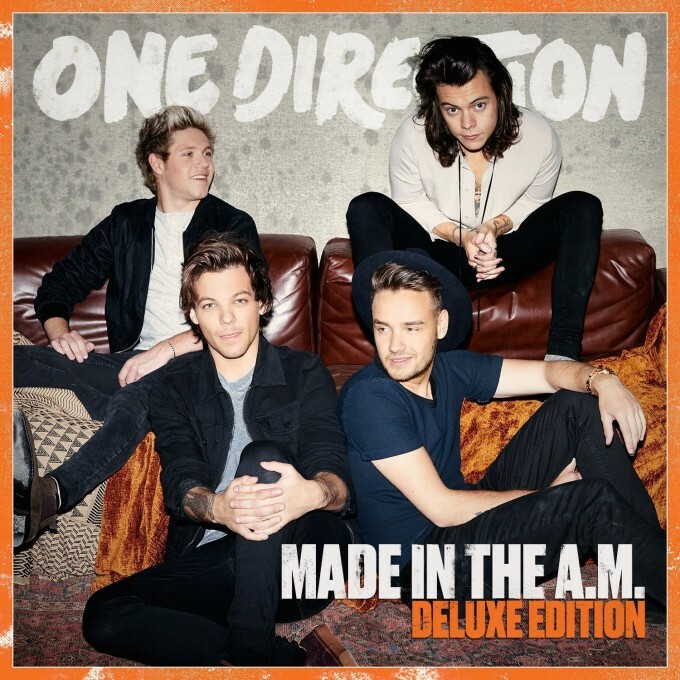 Five lucky winners will each receive a copy of the deluxe edition of One Direction’s brand new album ‘Made In The A.M.’, with thanks to the team at Sony Music Australia. And as you’ll no doubt be aware if you’re a regular visitor to the site, we take your privacy very seriously and your details are used only for the purposes of prize distribution and are not passed onto anyone.